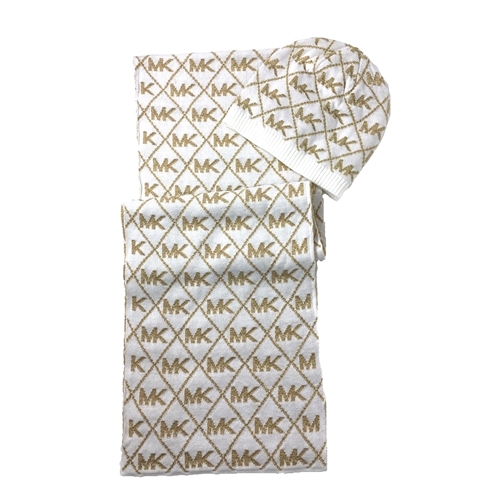 A chic Michael Kors MK scarf and hat set in the updated metallic MK Diamond logo for that cold winter weather. Dress warmly and in style! Boxed set is perfect for gifting. 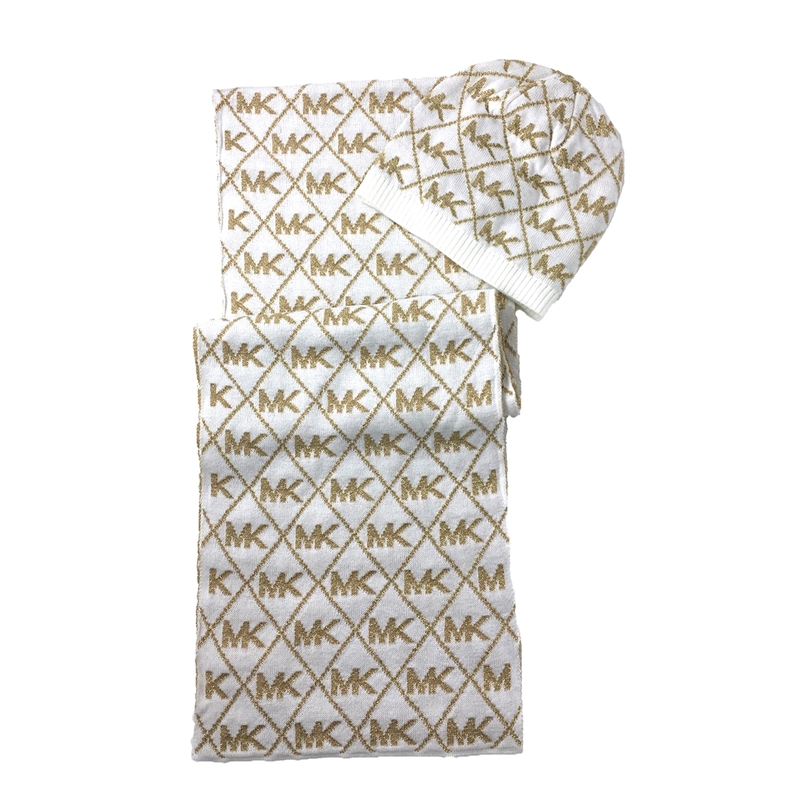 Knit scarf and beanie hat with in metallic MK diamond logo. Scarf features clean design with solid edges. 64"L x 10"W.
Beanie hat features with solid edge.